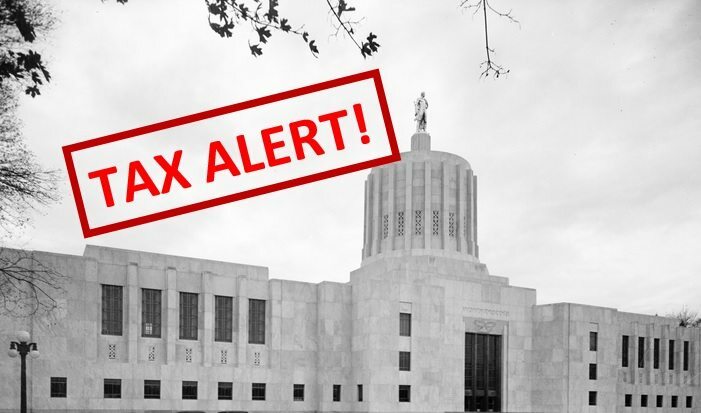 This week the Taxpayer Association of Oregon testified against HB 3262 — which is a bill that taxes businesses severely for helping the poor. This is one the most backwards bills of the 2019 Oregon Legislative Session. Under HB 3262, if a large business has employees that receive state financial assistance (or has a child that does) then that business will be punished with a brand new tax. That tax will equal the amount the employee gets in state aid. Many businesses hire poor people and it helps lift them out of poverty. Those businesses will be hit with this poverty tax if they do. Some poor Oregonians can only work afford to work part-time. These part-timers would qualify for state assistance and therefore would be punishing the businesses with a new tax even though the scenario has nothing to do with the business. Other businesses can’t afford to provide health care benefits to their employees and may be on the verge of bankruptcy. These most vulnerable businesses would be taxed and probably taxed out of existence. The idea behind the bill is sort of like socialism revenge politics where liberals get to make businesses pay for the state benefits that government is providing to the workers with no regard or care of the actual situation. The end result is that it hurts many businesses doing the right thing. It will lead to hurting the poor and not helping. — Help us fight tax increases like the poverty tax: Make a donation to the Taxpayer Association of Oregon.